There have been a number of studies and experiments done where scientists have tried to understand subjective factors that affect health and well being. Something that has been concluded in a number of these case studies is the importance and power of gratitude. By definition gratitude is a feeling or attitude that acknowledges the good things that surround us. Whether we call those good things benefits or blessings, all of these studies show a strong association between certain attitudes – specifically gratitude, thankfulness and appreciation – and well being. People exhibiting these traits are happier, less depressed, have lower levels of stress and are more satisfied with their lives and their social associations. Additionally, these studies have also shown that grateful people have higher levels of control in their environment, have higher rates of personal growth, feel a purpose in life and have a sense of self acceptance. We’ve written a number of blogs outlining the importance of the mind and the effects that perception has on our physical health. It probably goes without saying, but based on all of the clinical evidence regarding the emotional state of people who are genuinely grateful, they are also less prone to developing chronic issues. Obviously there are more factors than gratitude that affect health, such as quality of sleep and nutrition, however gratitude greatly reduces stress. If stress is reduced, the possibility of having chronic stress is greatly diminished. I remember hearing this story as a boy. I remember thinking how powerful this statement was. I don’t recall how I heard the story, but I’m glad that I did. Many years later I found myself in a somewhat similar situation. My family took a vacation for a couple of weeks to visit family during Christmas. When we returned and made it back home from the airport it was evening time. I remember going to open the door so that we could begin to bring in the luggage and presents from our trip. When I went to put the key in to open the door I could tell that the door was unlocked. Instantly my heart dropped as I hoped nobody had taken anything. The first thing I did was walk over to the living room to see if anything had been taken. Sure enough, a new television we had purchased just a couple years back was stolen, along with a number of movies and other electronics. As my wife and I reviewed the home we noticed that several other valuables were taken, including some jewelry and a silver flute. All in all we probably had about $25,000 worth of items stolen. If you’ve ever had your house broken into, you know the mix of feelings and emotions that you go through. There’s a sense of violation, anger, sadness and some fear that it may happen again. As my wife and I finished checking everything that may have been stolen, and waited for the police to arrive to file a report, my mind brought back to my memory the story I heard as a boy. Instantly I began to think about the holidays. Feelings of anger became replaced with more level headed feelings as I wondered if whoever had stolen our items possibly needed them more than I do. I had been blessed with a good job, a loving family and the opportunity to visit others during the holiday season. What if the person who committed this crime had no money to buy gifts for children or loved ones? I also began to feel grateful that we weren’t in the house when this happened. I was grateful that my kids were safe and that we still had a place to live and call home. I was grateful that all they took were valuable commodities and not items that had sensitive information such as credit card accounts or social security numbers. As I began to have these internal conversations I found my anxiety and stress levels decreased significantly as I worked through reconciling what had occurred. While it took a week or two to completely get over the incident, I’m so grateful for the memory that came to mind in that moment of stress. It could have been easy to dismiss it and stay in my troubled state of mind, but what would that have accomplished? It would have done nothing more than create perpetual trust issues that would have affected not just me, but my wife and young children’s ability to ever feel safe in their home again. 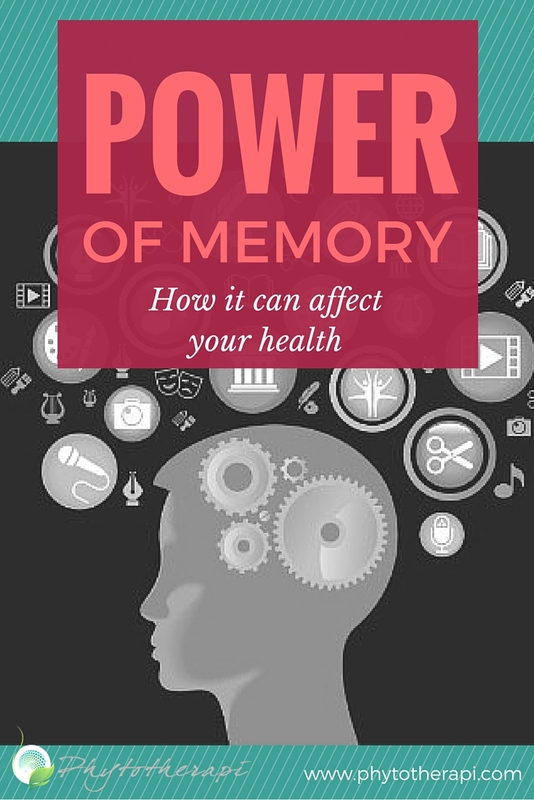 The power of memory played a great role in two main ways that helped me reconcile what was an extremely stressful event. First, my mind brought to my remembrance a story I had heard as a boy. Although I hadn’t consciously thought about that story for some time, my brain knew I needed it at that moment and presented it to me. Second, my mind presented various reasons to be grateful, notwithstanding the obvious awful situation that had taken place. Even though having items stolen from my house was in no way desirable, there were still plenty of reasons to be grateful. This ability for the brain to recall things for which we can be grateful for is absolutely critical in order to live a balanced, healthy lifestyle. This is even more important when we are in the midst of adversity. The brain recognizes this. It recognizes that the biochemical changes that take place when we are under stress are meant to be temporary. It will sift through data, files and information to provide us with something legitimate and true that will allow us to reconcile and find closure to stressful episodes. Problems arise when the brain’s ability to communicate information and data to our consciousness is impaired. Ultimately chronic stress is the main culprit that keeps our brains from communicating important facts and information that allows us to resolve problematic situations. Understanding how memory storage works, sheds light into how chronic stress impedes our memory, ultimately impairing our judgment and reason. Whenever we receive information through our senses it passes through the limbic portion of the brain. Within the limbic region, neurons are going through thousands of electromagnetic reactions as they tie new information to existing neurons that contain similar pieces of information. At the same time, the brain’s frontal cortex – which is responsible for permanent memory – sifts through all of the new data to decide whether or not certain pieces of information are useful for learning and survival. It will go ahead and tag anything it finds useful. This is important because essentially what the frontal cortex is saying is that this piece of information is so important that it wants to permanently store it in case it needs to use it again. The information however, is not sent to the frontal cortex yet. It first goes to the hippocampus where it is stored temporarily. As we sleep at night – assuming we receive a full night’s rest – the information the frontal cortex has tagged is sent from the hippocampus to the frontal cortex, where it will then be stored permanently. When we’re stressed, the neurons in the brain fire off at extreme levels as the external stimuli are being processed by the limbic system. During this process the brain will pull up something it knows to be beneficial and true from the frontal cortex and present it to our minds so that we can resolve the problem and close out the stressful episode. Once closed all goes back to normal. For example, if I see my teenage daughter is withdrawing herself from the rest of the family and staying in her room all day, I’m going to become stressed because of my concern for my child. If my mind is healthy, the thoughts that my mind will present to me will be ones where I recall the difficulty of adolescence and I’ll remember what is was like to be a teenager. This will put my mind at ease because it will provide me the ability to genuinely empathize with my child. In this scenario, the brain recognizes the importance of a happy family because it understands the repercussions that having an unhappy or broken family can have on my health as well as the health of those surrounding me. When we are under chronic stress however the brain works very differently. Let’s say in the same situation I’ve had a hard week at work and I’m feeling some sense negativity, no matter how small, towards my colleagues or boss. In this situation the stress mechanism has been active for at least a week. Neurons have been firing off the entire time. I notice that my daughter is withdrawn. We’ve called her down for dinner and she doesn’t want to come down. What goes on in my mind? When we’re under chronic stress, the neurons firing off happen so frequently that it’s as if they build an electromagnetic wall that does not allow my frontal cortex to present useful information to resolve the problem. Without logic, reason and information I’m left with emotion. Instead of empathizing with my daughter I go in her room and give her a good piece of my mind where I ask her why she’s selfish, try to make her feel guilty about not spending time with the family and perhaps even throw in a jab about the friends I don’t approve of. The entire situation likely leads to an argument which, unless reconciled, will lead to additional stress. Additional stress further impairs our ability to think logically and act with knowledge instead of acting on emotion. Finally, I’ll be completely blind and ungrateful for all the good things my daughter is. The miracle of memory is how central it is in life. Once memories are recorded they can act as a compass, navigating us through time when storms arrive. As we learn to weather the storms and trials that come our way, the brain prepares all information for future learning experiences and challenges that will arise. While we may worry about losing memories as we age, memory loss occurs to us even when we’re young due to chronic stress. Maintaining an outlook, perception or lifestyle that keeps us chronically stressed blocks our ability to receive new direction and inhibit our ability to call upon valuable, cherished memories. We can see how powerful memory, and the lack of it, can be in dictating gratitude, managing stress and determining how happy we can be. Most, if not all of us, suffer from chronic stress. There are so many demands on us each and every day. Simple things accumulated usually are what really hinder us; the crying child, the traffic on the way to work or the speeding ticket. Phytotherapi has an excellent stress and anxiety program that helps the body bring down stress levels so that we’re able to draw upon important, true information when making decisions. This allows us to reconcile stressful episodes – both in the past and the present – and provides us the ability to remember the many reasons for why we should be grateful.